Institut Notre Dame du Lac is a French primary school located in the commune of Cologny. It first opened in 1946 on the site of a beautiful 18th century Boissier domain overlooking Lake Geneva. Being a catholic school, Institut Notre Dame du Lac names tradition, high standards, discipline, rigor, respect and excellence as its core values. The school strives to give its students a solid foundation in French language, both written and oral, numeracy and foreign languages. From the age of 4 children spend a lot of time mastering cursive writing through drawings and other activities developing fine motor skills. Teachers are promoting autonomy and helping students to improve their social skills. Children learn poems and songs by heart, practice formulating questions and answers correctly. There are about 20 children in each class for one teacher and an assistant. The classes are numbered from 14th to 1st, so children start at 14th and gradually move up. English is introduced in the second year of ecole maternelle and taught not only as a foreign language, but also as a language of instruction in science classes. It is planned to introduce teaching in English for history and geography classes. In the primary school the curriculum includes specialised subjects like music, religion and informatics and from the 9th German, literature, geography and sciences are added. 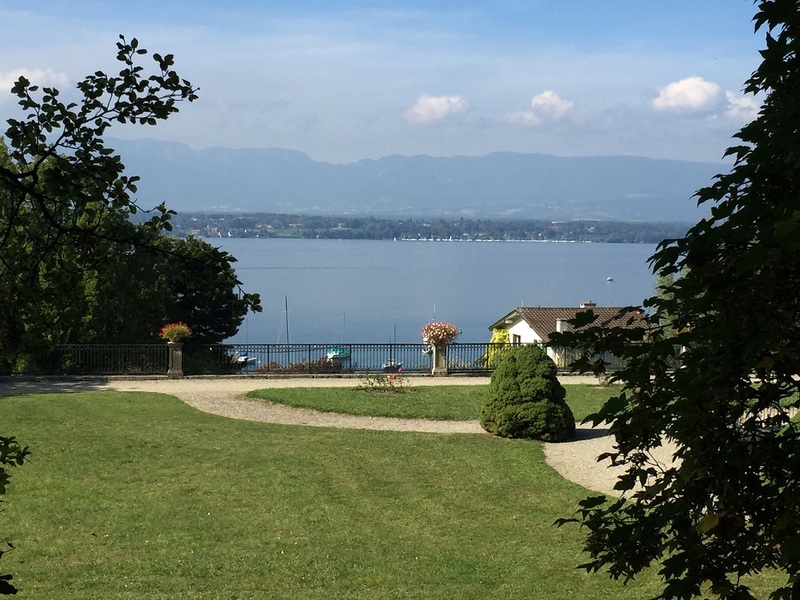 Institut Notre Dame du Lac operates the club NDL ++ which offers a number of extra-curricular activities during the midday break, school holidays, after classes, on Wednesday evenings and on Tuesday evenings for adults. cultural and social ateliers like gardening, chess, informatics, archaeology, palaeontology, and cinema. Afterschool club is open every week day except Wednesday until 5 pm. 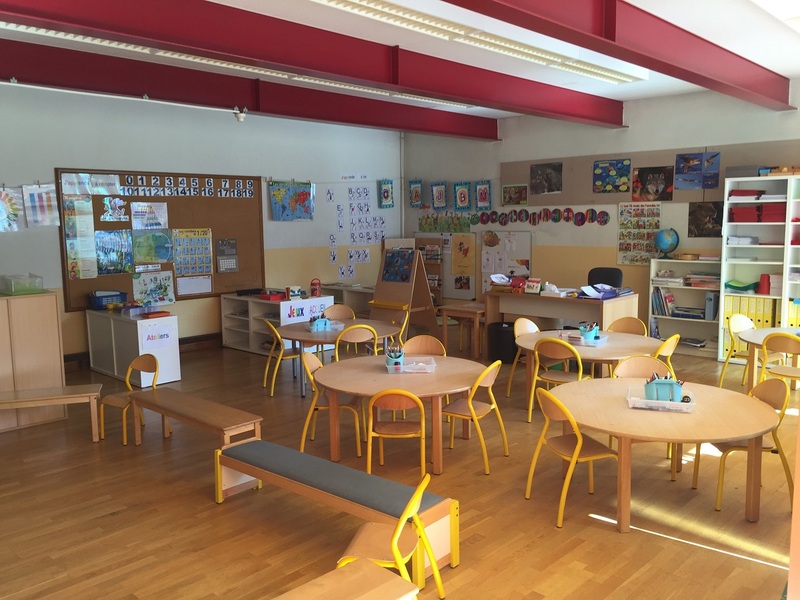 Younger children still at ecole maternelle can stay for artistic activities, yoga or games, while older children get help with their homework. Institut Notre Dame du Lac also offers additional classes in French and mathematics for children in 9th to 7th and help with reading and writing for struggling pupils at 11th and 10th. There are also extra classes in German. During the school holidays activities may vary depending on the season and the age of the students. They can include trips to aqua parks, cinema, bowling, zoos, museums and exhibitions. Institut Notre Dame du Lac participates in PRIM SKI competitions organised by the city of Geneva for school pupils. 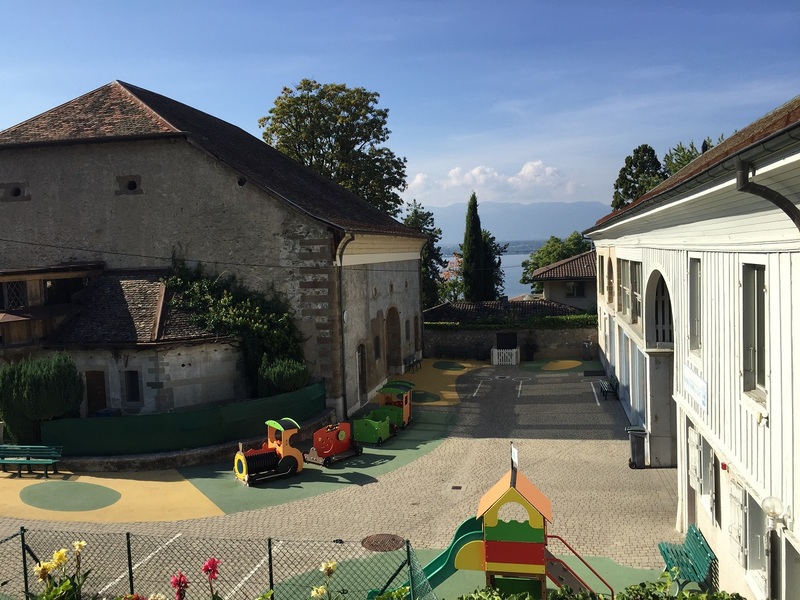 Institut Notre Dame du Lac is usually happy to admit children in the middle of academic year and there are no availability restrictions. If there is demand, the school adds one more class that year. For example, if there are 42 children in a particular year they will be split into 2 classes. If one more child joins, the school will open three classes. However, from the age of 7 Institut Notre Dame du Lac asks children to sit an entrance test in French, mathematics and English. The test is not difficult and helps the school to determine whether the child will be able to follow its demanding curriculum and how to help him or her to adapt best. There is also no requirement to speak fluent French until 7 years old, when children start to learn writing. Up until that age Notre Dame du Lac accepts children with no French and will help them learn it as quickly as possible. You can also read about my visit to Institut Notre Dame du Lac here.